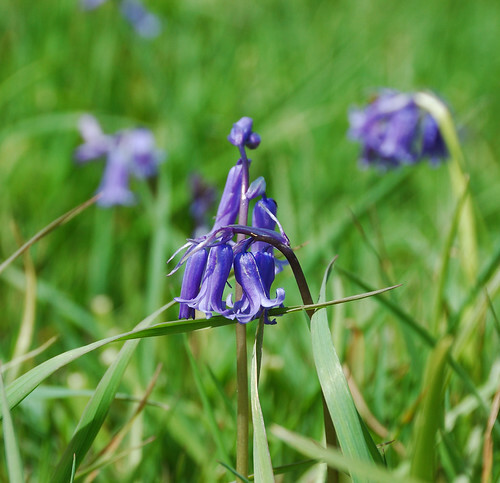 and I'm am pleased, actually thrilled, to report we have native bluebells in the orchard. A couple of years ago we noticed a single dying flower, now we have a small colony of the beautiful blue wonders. I will move a few down to closer to the house and hope to inject them into the beechwood but at least we have some in the meadows and I don't have to do a midnight burglary on the patch next to the Embranchement.